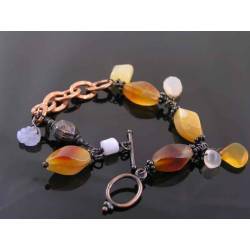 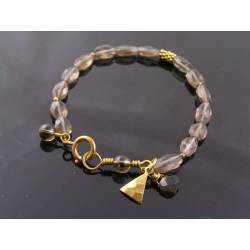 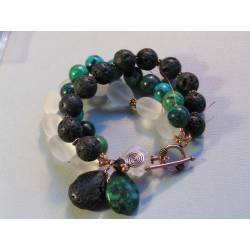 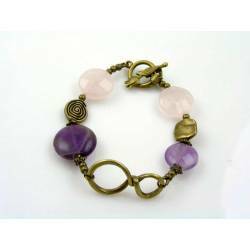 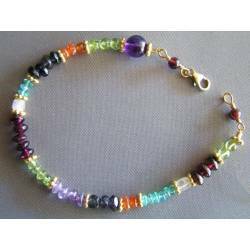 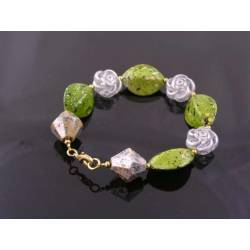 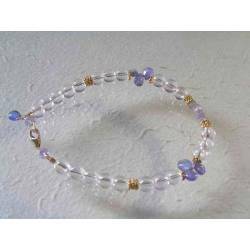 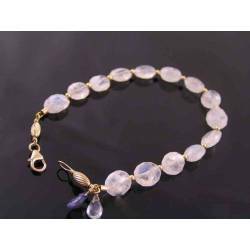 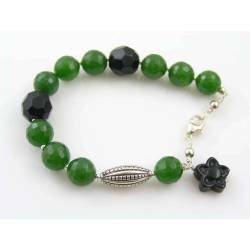 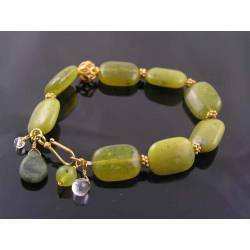 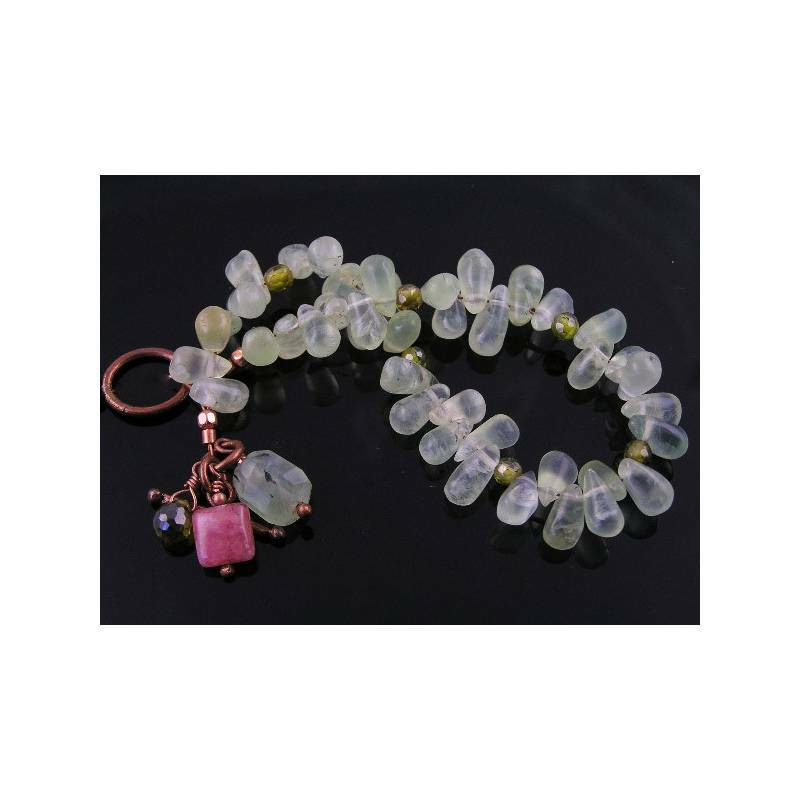 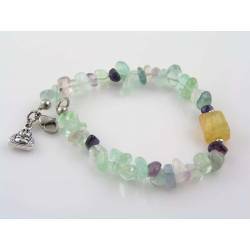 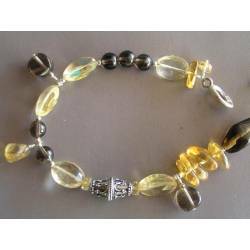 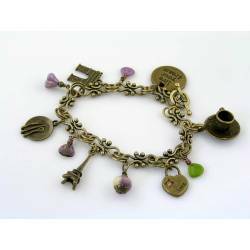 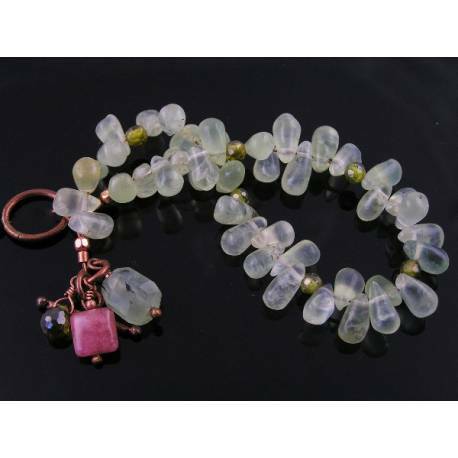 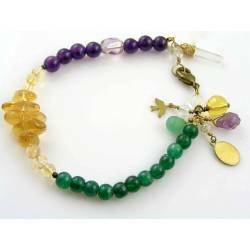 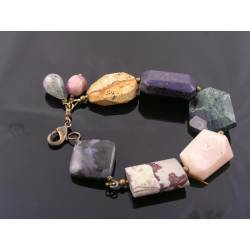 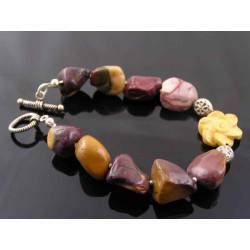 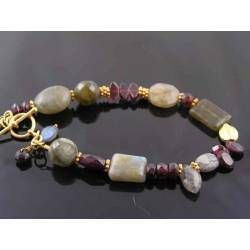 Prehnite has this glowing, hazy pale green quality which comes out nicely with this bracelet. 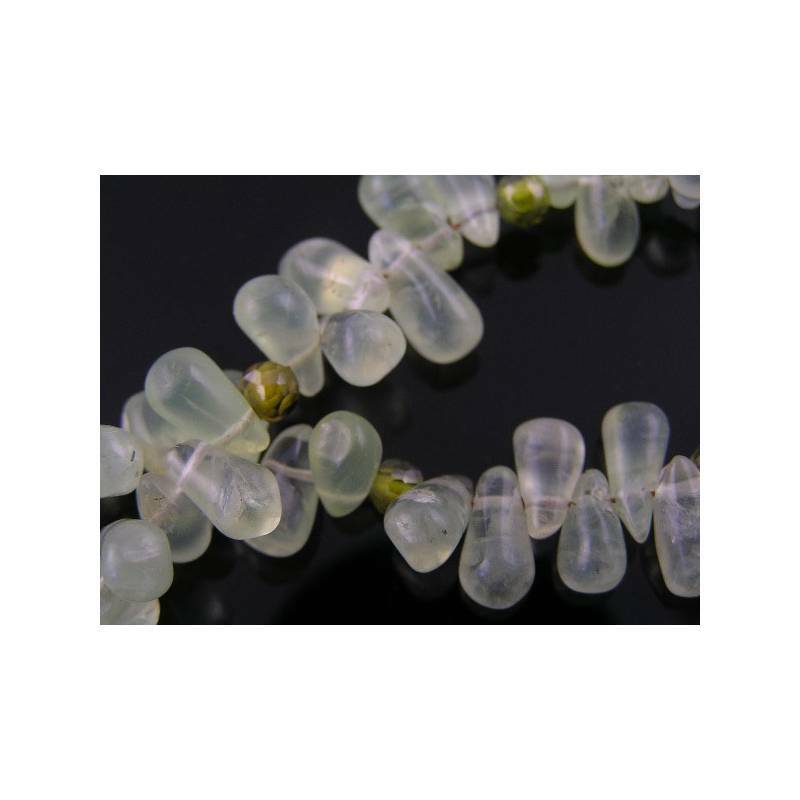 Smooth, little drops are strung, alternating in groups with small 4mm olive green faceted Cubic Zirconia beads. 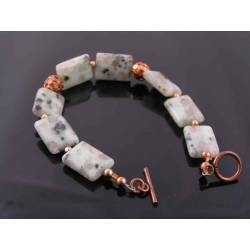 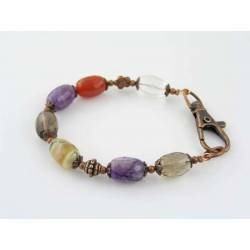 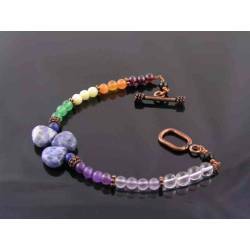 I have added a solid copper toggle clasp and 3 gemstone dangles. 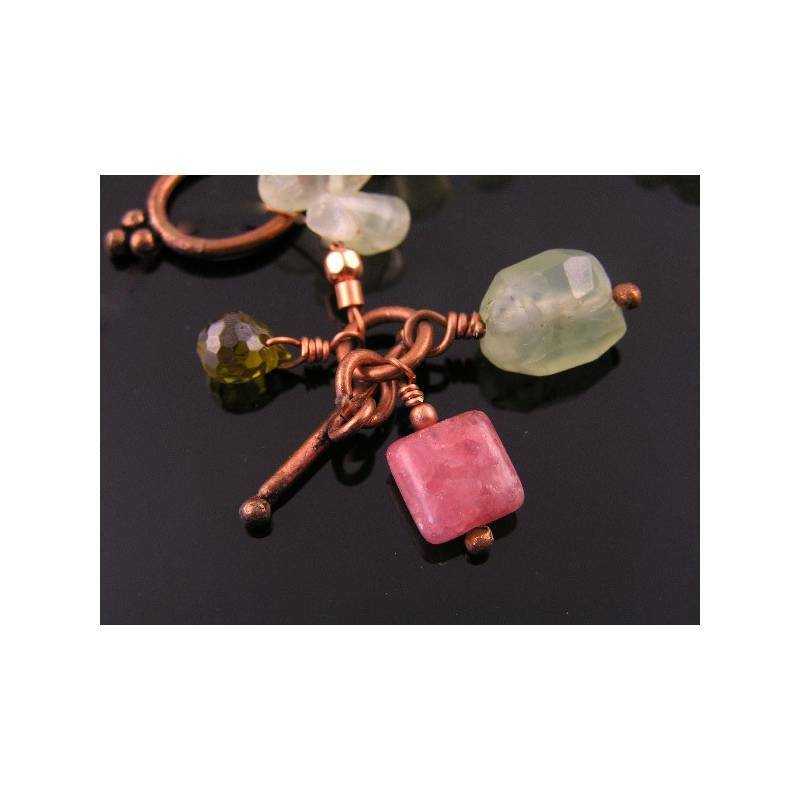 A pink Rhodochrosite pillow, a faceted Prehnite nugget and a faceted olive green Cubic Zirconia briolette. 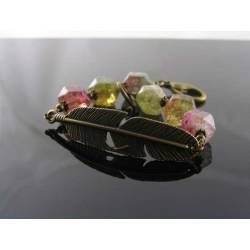 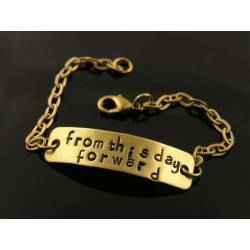 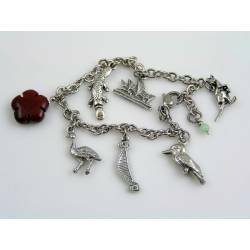 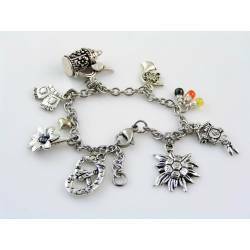 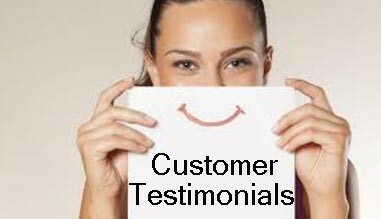 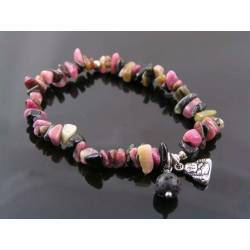 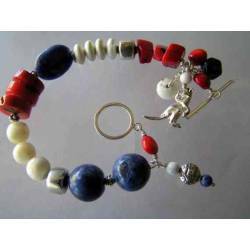 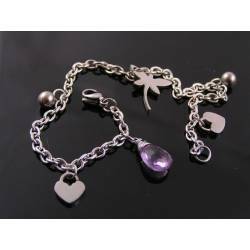 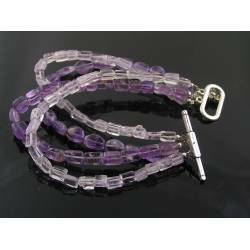 Total length is 20.5cm, suitable for a wrist size of 16.5 to 17.5.